The MFRC-522 RFID module breakout board is a cheap, easy to use RFID module compatible with Arduino and other microcontrollers. The MFRC-522 RFID module is a cheap, easy to use NFC chip found in pretty much every phone which has NFC, easy to use with Arduino and other microcontrollers. 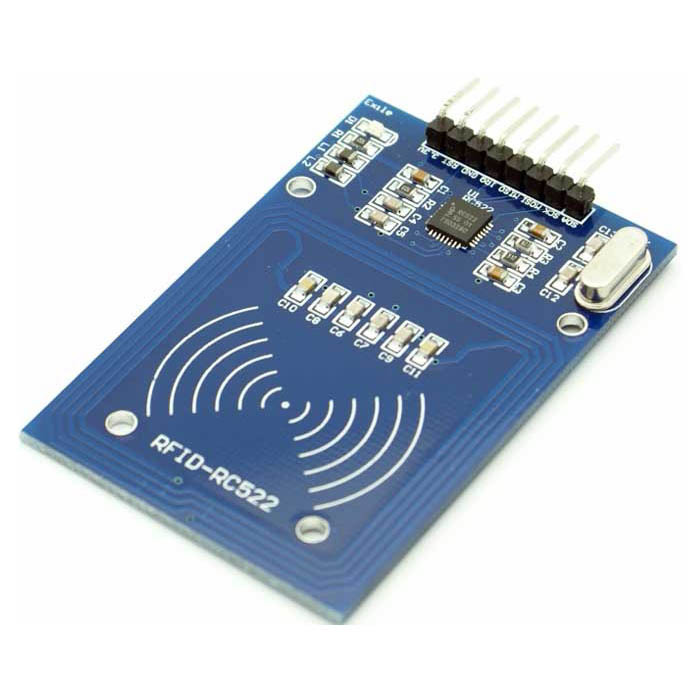 It is ideal for projects involving RFID communication and and for applications such as access control, automatic identification, robotics, navigation, inventory tracking, payment systems, and car immobilization. 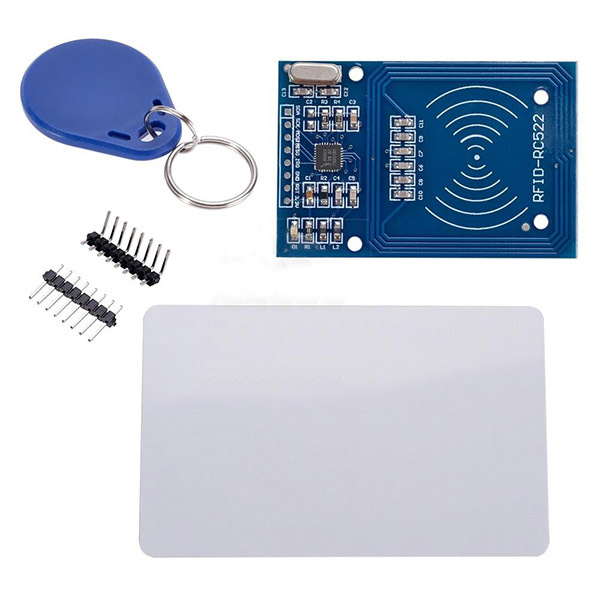 The kit comes with a 13.56Mhz RFID module, the RFID tag/card and a round key chain tag. SPI interface for convenient interface with microcontrollers such as Arduino or PIC.